Future packaging solutions for personal care items. In a market as demanding and quality-oriented as the Personal Care sector, only IMA with its vast experience and technical expertise spanning over five decades can offer the most effective solutions and cater to the widest possible needs. As a global partner, dealing with packaging requirements coming from countless market areas including pharmaceutical as well as food & beverages, IMA ensures the perfect combination of creative flair and industrial common sense to devise optimal turnkey solutions responding to manufacturers of personal care items who are obliged to set new trends and evolve within a fast-moving market. IMA invited its customers to discover the most comprehensive range of personal care product packaging solutions ever showcased. 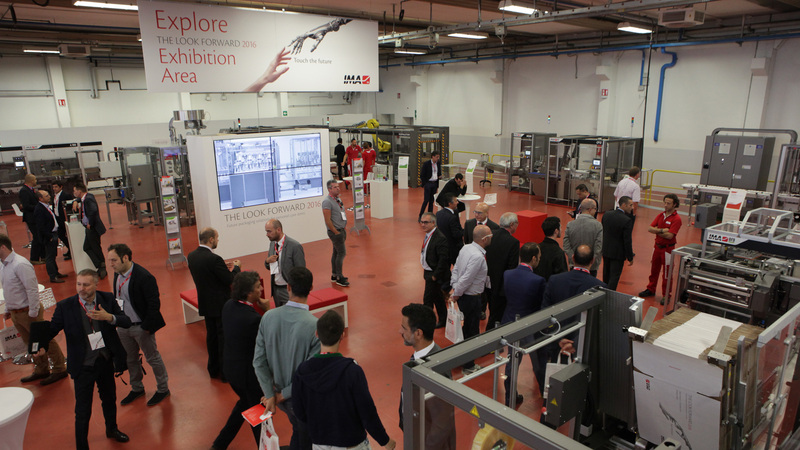 The event was held between October 4th and 7th at the IMA factory locations in and around Bologna. Participants discovered the key benefits that come with IMA equipment in terms of flexibility, productivity and lifelong reliability. Designed to cover all needs in the spectrum of personal care products, the selection of machines displayed during The Look Forward includes bottle fillers, cappers, tube fillers, labellers, cartoners, shrink-wrappers, overwrappers, case packers, palletizers and many more solutions. Above all, customers were able to appreciate examples of turnkey solutions, such as complete lines for the packaging of hair dye products, skin care lotions and creams in bottles and tubes, and tablet soap.